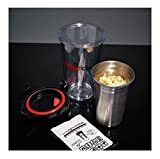 The most versatile travel cup container cooker ever. 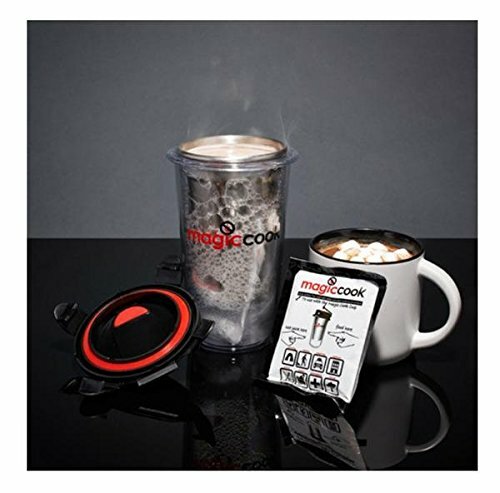 Magic Cook cup container was designed for cooking & heating up coffee, tea or soup etc. 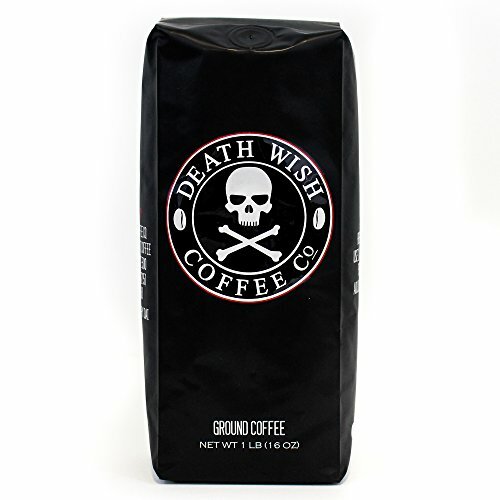 without the need of microwave, stove, fire, propane or electricity. 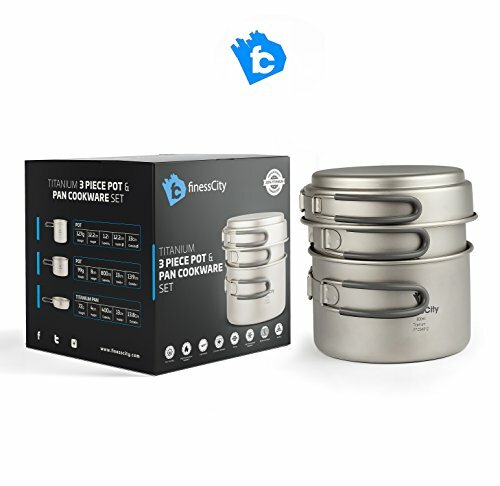 Made of triple layers high resistant food grade PC with stainless steel inner case. Works as your everyday thermos cup with an option to heat up and cook up at anytime if needed. 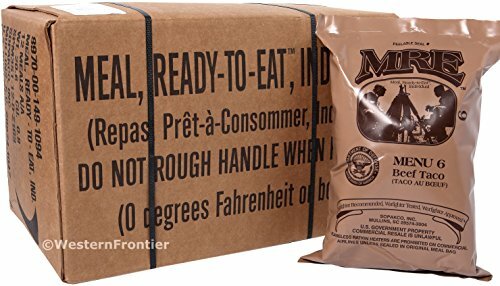 Water activated magic heat pack will generate heat up to 203 F degree. It enables you to cook or heat up drinks within 10-25 minutes. 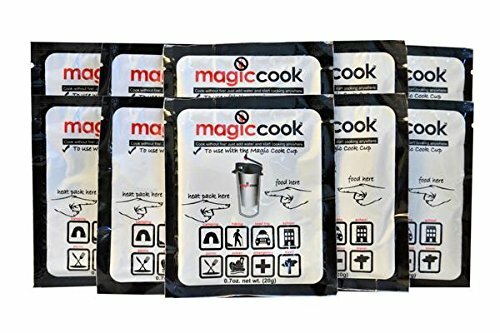 Magic heat packs are made of Quick Lime, Non-Toxic flameless heat generated by water activation. 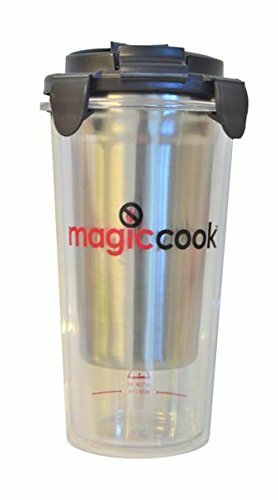 Once cooking is completed, magic pack will absorbed all water and simply just trash as household waste. 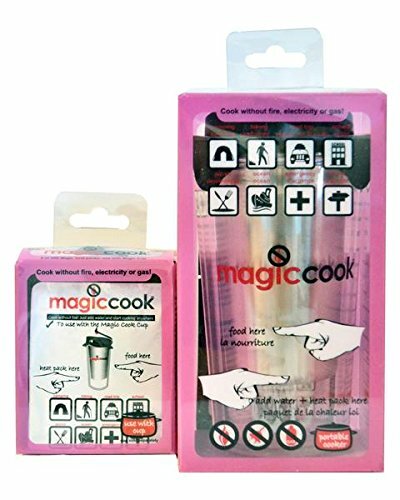 Magic Cook is perfect for the use of all outdoors, camping, and survival kits.